I am trying to use a previous form that I have used, but change the name of it so that when an email comes through to me with the details someone has enters it shows the new name and date sent so we can determine response from each. However, when I am hyperlinking it into the email (in mailing manager) and running test submissions it is still showing the old name but the new one on jotform system? Any ideas where I'm going wrong? Sophie, Have you changed the title on the notification? 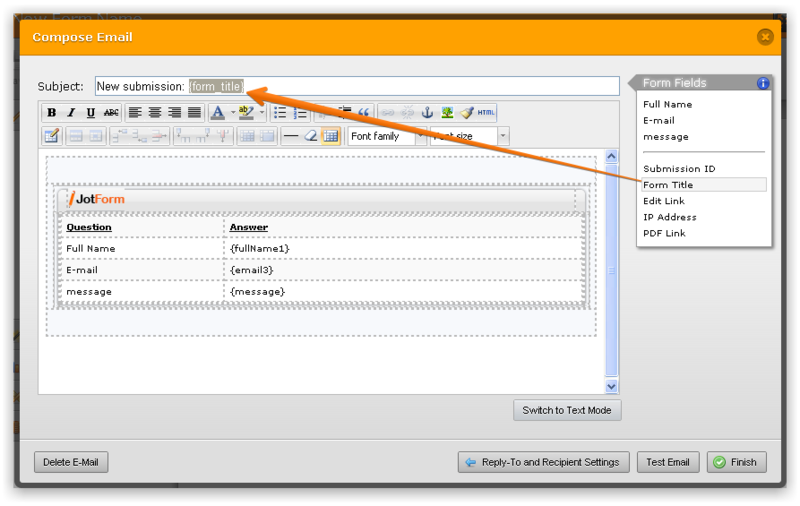 You can explicitly set the email subject line to automatically pull the form name or hardcode the subject line that you want. If the notification subject line was previously hardcoded, instead of a dynamic pull, it woulnd't have updated on the email send. Thanks for contacting us Sophie. Thank you very much for your cooperation. We really love that our users help other users.